Do you need to organize a function or event that will be fun and memorable? If the answer is yes, we are a full service caterer that can take care of a wide range of catering needs for any kind of function or event imaginable. Catering is what all we know, what we do, and can fully handle for you. Bar service is just one amazing aspect of our catering service that can be very versatile in approach when it comes to taking care of catering requirements that include beer, liquor, wine and bar services, taco bar catering, a very interesting and delicious catering bar menu, and so much more. 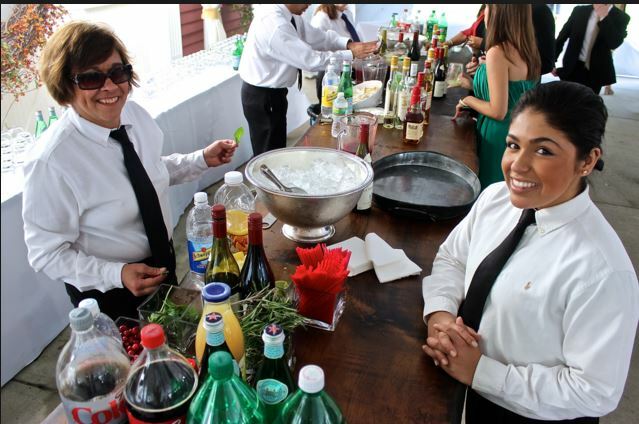 Elkhart Catering handles various aspects of catering and these numerous options include full bar service. If you are unsure yet, we can offer you some suggestions, if you are open to asking us questions, as we also are able to assist our customers in creating only the very best of all possible functions and events that are available as options. We do all we can to be a very strong presence here. This is because we know just how important it is, for you, to be able to get your function or event organized properly from the get go. We do our very best, every time, to assist our customers in every area that is crucial and always will offer to do that for them. With all of this said, it doesn't matter if your function or event is corporate or is personal in description. We are there to help with whatever is needed from us from a total catering standpoint. We are a total service provider when it comes to catering and entertainment. This means that we can handle catering for weddings, catering for anniversary or birthday parties, Christmas parties, you name it. We are there for you. Taco bar catering is just one fantastic option to consider for your function or event. This is because taco bar catering is very popular and something that lots of people do seem to like and appreciate having available at a function or event. This is complete wine and bar service. We include all the frills that will make it a bar experience like no other. ​Elkhart Catering goes all out, when it comes to our customers, and this is the way that it should be. We wouldn't accept anything less than providing our customers with full service catering and a bar service menu that you will indeed love a great deal. Because we here at Elkhart Catering do know exactly how important your function or event is to you in the scheme of things. We do all that we can to ensure customers only have the very finest of all catering services possible. When our customers are happy, we are happy, and this is why it is crucial to raise the bar as high as we can to satisfy and make our customers happy with our catering service.